Meeting #643 was held at Hatoba Kaikan in Minato-mirai. The meeting room was almost full including 6 guests, probably because everybody got refreshed thanks to Golden Week Holidays. 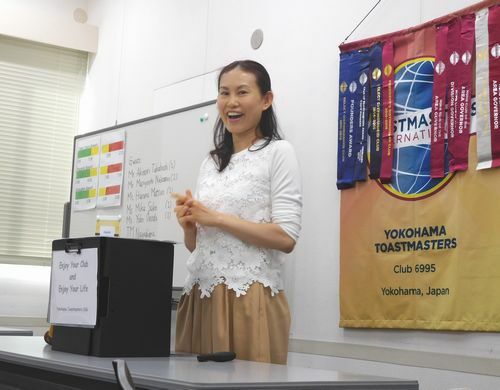 At first, induction ceremony was conducted for TM T who moved from Kansai area. After that, TM O announced “mother and father of all …” as today’s Word of the Day. Each role taker explained his/her role today. Today’s theme was “Mother’s Day”. The related question was“What would you do for your mother on Mother’s Day?”. Most of the members planned to give some gifts or have meal together. TM H conducted Tips Session and he introduced the opinion that says it is important to deliver the storytelling speech based on the audiences’interest, not on your experience or interest only. TM S (husband and wife) conducted Joke Session, but there were almost no laughter. Rather, the way they talk each other was funny. In the Workshop Session, YM N explained the officers’election which is planned on June 3rd . Table Topic Session was not conducted because there were so many sessions today. In the Speech Session, four members made speeches, self-introduction by TM S, how to release stress by TM T, miracle of antimatter by TM G, role play by TM T which is based on the selling of online meeting system. The role play was pretty much enjoyable due to the realistic communications between TM T and TM F.
Then, we had Evaluation Session where experienced four evaluators gave accurate evaluation. General evaluation, conducted by TM O, was full of humor and we enjoyed it. At the business session in the end, committee announced offices nomination list for next term. This was my first experience to conduct TMOD in YTMC. Thanks to members’help and cooperation, I could somehow finish this role. Thank you very much. 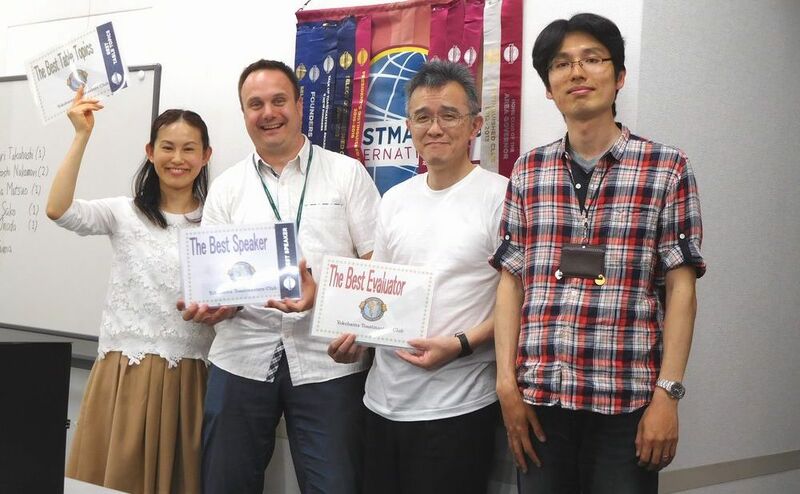 The 642nd regular meeting of Yokohama Toastmasters Club was held at Hatoba-Kaikan on 6th May, 2017, during the “Golden Week”. 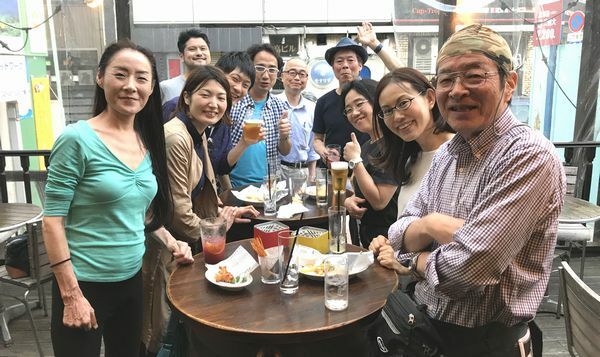 We had 21 participants including 6 guests even in Golden Week. The theme of this meeting was, of course, “Holidays”. Every members answered the TMOD’s question, “If you have one-month-holiday, how would you spend it?”. I got various answers,for example, unique one such as “go to an island which has same name as mine”, practical one such as “clean up everywhere in my house” and so on. 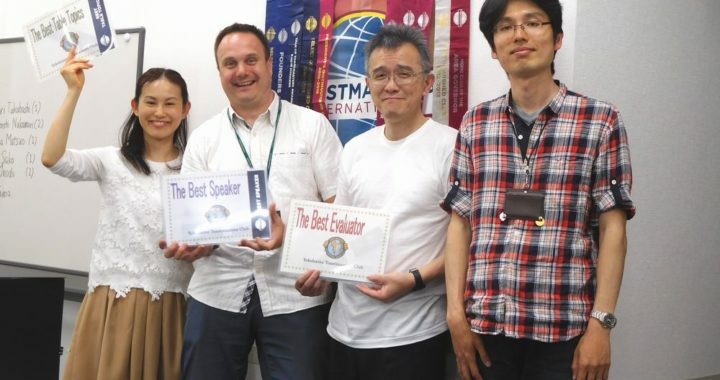 Tips session usually introduce an article in the latest issue of Toastmasters magazine, but TM I introduced an article “Make Your Speech Listenable” issued in March, 1992, no less! Even though the article was issued 25 years before, the basis of the speech did not change!! In joke session, TM M talked two jokes, and we enjoyed them! 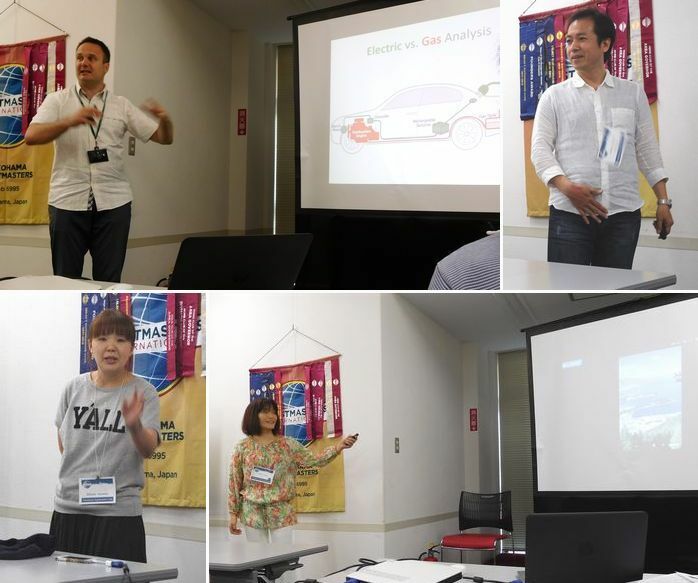 Table Topic session was conducted by TM T. There were 4 questions about Toastmasters Club or English skills, for example, “Who is your role model of Toastmasters?” and 5 members and guests answered impromptu. 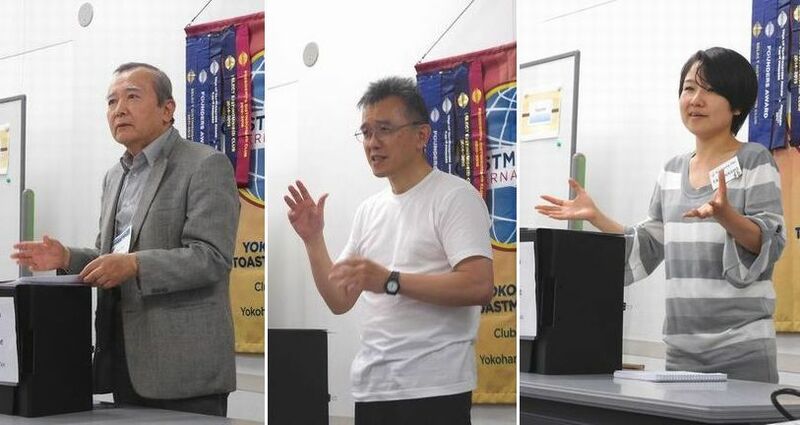 In prepared speech session, there were 4 speakers. All the speakers made attractive speeches showing their slides by projectors. They introduced the most up-to-date auto-driving technology, diet experience, useful App of smartphone, and New Zealand travel. In evaluation session, each evaluator evaluated each speaker accurately. Evaluators evaluate prepared speeches just after the speeches. Nevertheless, every evaluator explained good points and rooms to improve the speech correctly. 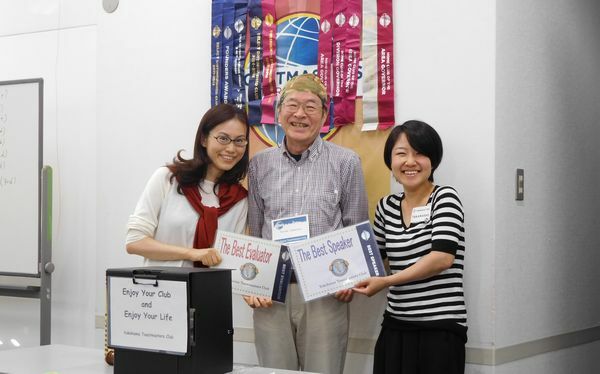 General evaluator (GE) was TM A, who is the role model of many members in Yokohama Toastmasters Club. She conducted the evaluation session smoothly and it was well-organized. We really enjoyed this meeting. It was the second time for me to take TMOD. The last time was about 1 year ago. Has my TMOD improved in a year? Anyway, we completed the meeting successfully with the support of all the participants!! I really appreciate them, especially TM M, TM T and TM O who took double roles!!! See you in the next meeting! !